Posted Apr18 by asuwbike	| Comments Off on Clinics are back! 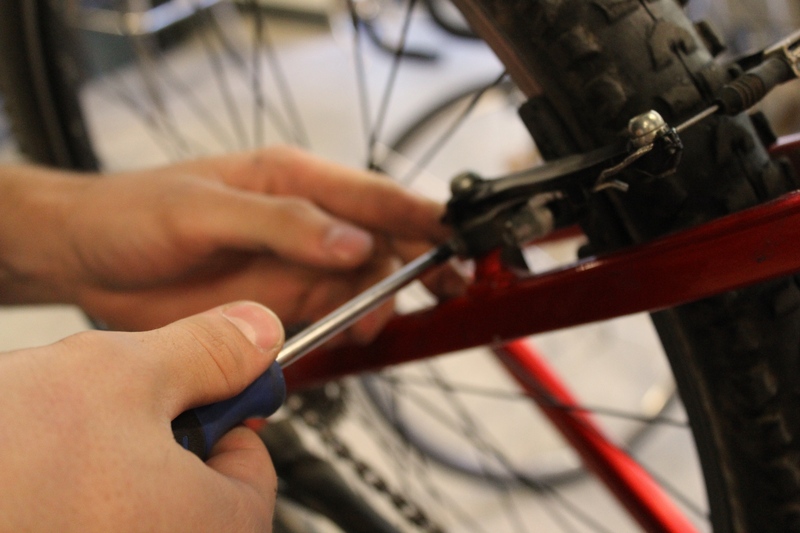 The Bike Shop will be putting on bike repair clinics once again! These will be introductory clinics once a week for 4 weeks. 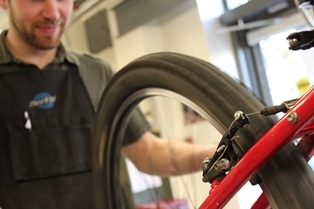 We will cover brakes, shifting, hub adjusts and routine bicycle maintenance! There are three sessions: Tuesdays 9am, Tuesdays 5:30pm, Wednesdays 5:30pm. All sessions will last 1.5 hours, the first week will be the week of 5/6. 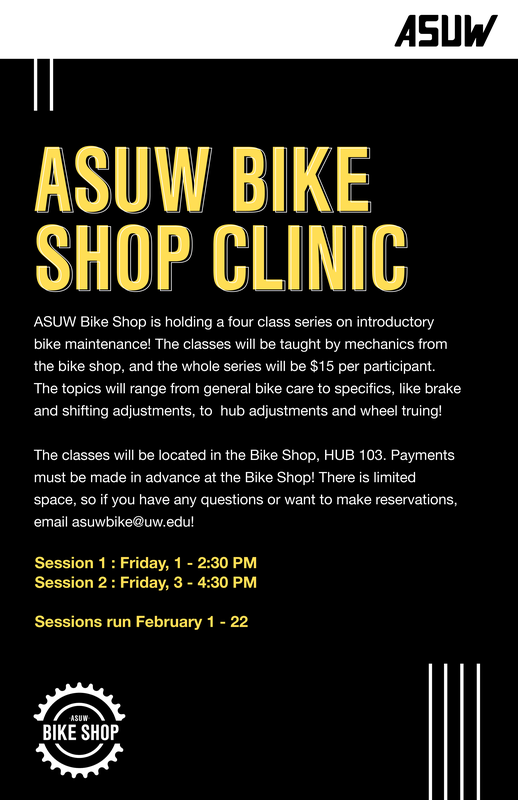 Email asuwbike@uw.edu for any further questions and to reserve a spot! Posted in Uncategorized	| Comments Off on Clinics are back! Posted in Uncategorized	| Comments Off on Manager applications open! Posted Feb20 by asuwbike	| Comments Off on Need a job? The ASUW Bike Shop is hiring one mechanic starting spring quarter. If you like bikes we’d love to see your application at jobs.asuw.org. Mechanical experience is a plus, but not required. Be sure to get in your application by March 3rd. Interviews will be on Friday, March 8th, times to be arranged. Posted in Uncategorized	| Comments Off on Need a job? Posted in Uncategorized	| Comments Off on Time change for clinics starting this week! Posted Jan18 by asuwbike	| Comments Off on Helmet Program! If you’re looking for a good quality, affordable helmet, come to the ASUW Bike Shop! This year, we are partnering with Limebike to help UW students and faculty protect their heads by providing HIGH quality helmets at LOW COSTS. The helmets we are providing are the Kali Chakra Solo helmets, and they are available in BLACK and WHITE and retail at over $40! Come to the Bike Shop today (HUB 103) to get yours at over a 30% discount! Get them before we run out! Posted in Uncategorized	| Comments Off on Helmet Program! Posted in Uncategorized	| Comments Off on Winter Quarter Clinics! Hope everyone is refreshed after 3 weeks of break and ready to get back to the grind. We will be offering after hours clinics on Fridays this quarter starting week 4, stay tuned for more details! This fall quarter we’ll be open on Monday and Tuesday of finals week for our normal 11 – 5 hours, then we will be closed for the rest of break! Posted Oct25 by asuwbike	| Comments Off on Fill Out Our Survey! 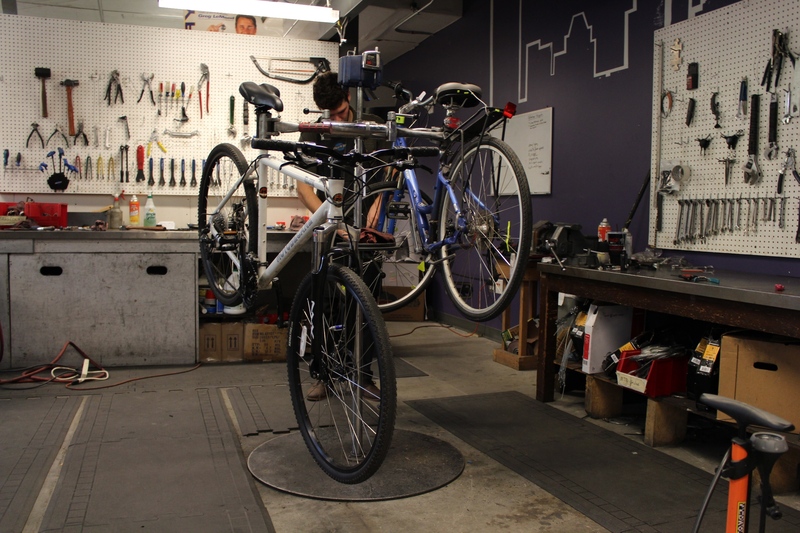 The Bike Shop is currently deliberating the use of a new system, and we would like to get input from our customers! If you have time, please consider filling out this survey. It only takes 1 minute and it would help a lot! Posted in Uncategorized	| Comments Off on Fill Out Our Survey! 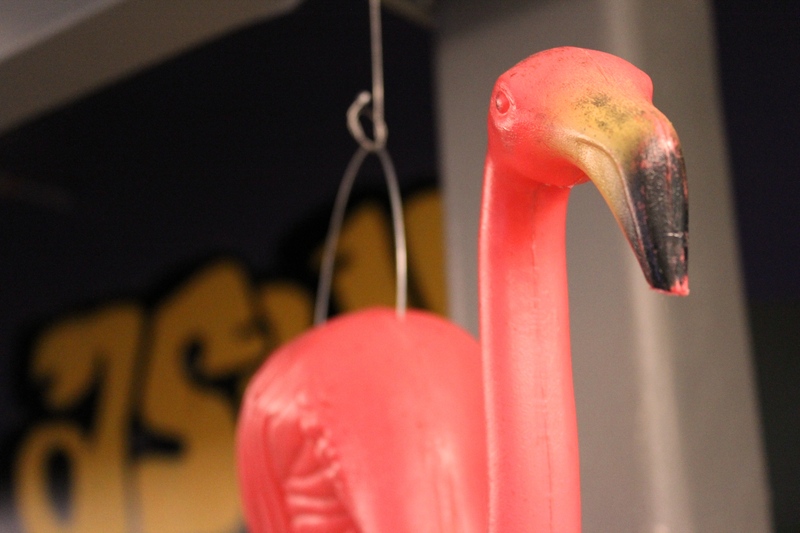 Our Fall Quarter Hours are Mon-Fri 11am-5pm. We are closed on weekends.